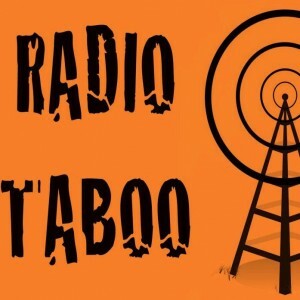 Radio Taboo is a development project and documentary film about Issa Nyaphaga, a political journalist in exile returning to his small village in West Africa to build a community radio station to educate his community about subjects that are often too taboo to talk about. Issa was a journalist in Cameroon in the 1990s where he was jailed and tortured for his political cartoons. He is now heading back to his village in Cameroon to build a community radio station to educate villagers about Public health, environmental issues, women’s issues and rights of gay and HIV infected people. Nditam, his village, has no running water, no electricity, no schools or hospitals and no public news service. The film follows his struggle to raise funds, get the materials, gather manpower, build the station, train citizen journalists and make the station work for the betterment of his community. It will be an adventure to travel with Issa as he fights against all odds to create this amazing project. The radio station will run on renewable energy and will feature citizen journalists reporting on local issues to 1 million people in the remote rainforest of Cameroon. This is the first of two campaigns we are planning for Kickstarter. This initial campaign will help us to make an initial 20 minute film, build a radio tower and get the station started. We plan our first trip in June, 2013. A small seed grant from National Geographic has provided initial support for this project. Don’t forget your donations are tax deductible via IssueTV 501c3. Kickstarter will provide you with a tax-deductible receipt. Building a radio station in Cameroon and making a film about it is going to be a major challenge! The area is remote, we will have to charge our cameras on solar power, keep our equipment dry and clean and get all the shots right. There will be bribes to pay, cultural faux pas to work around and malaria to avoid. Just getting to Nditam, Issa’s tiny village, will be days of travel over rivers that have no bridges, in one of the most corrupt places in the world. Wish us luck!